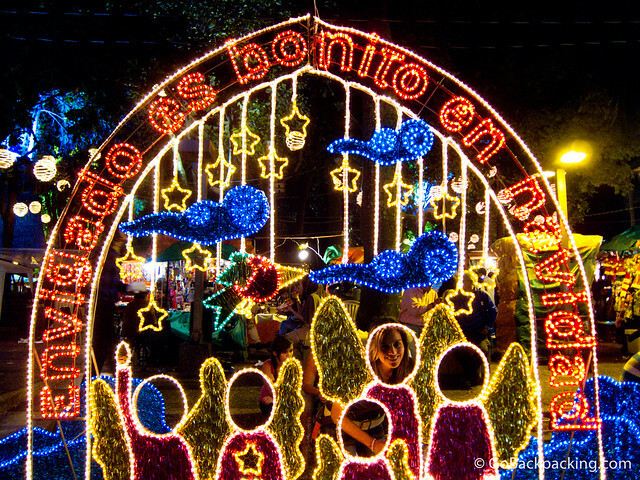 Envigado es bonito en Navidad (Envigado is beautiful in Christmas). “Wow” was my first reaction upon seeing Envigado in December. I’d never seen anything like the lights strung above the streets. 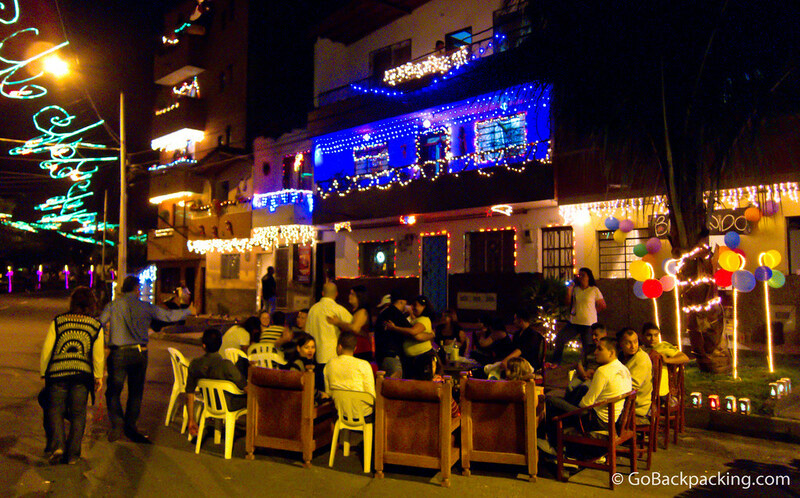 Since all Colombian cities, towns, and pueblos feature a main square, it’s possible to have a high concentration of lights and decorations in one spot. The effect when walking around can be overwhelming! By comparison in the USA, where so many people live in the suburbs, everything feels more spread out. Towns like the one where my parents live in Fairfax, Virginia decorate, but to a lesser degree than what I saw in Envigado. 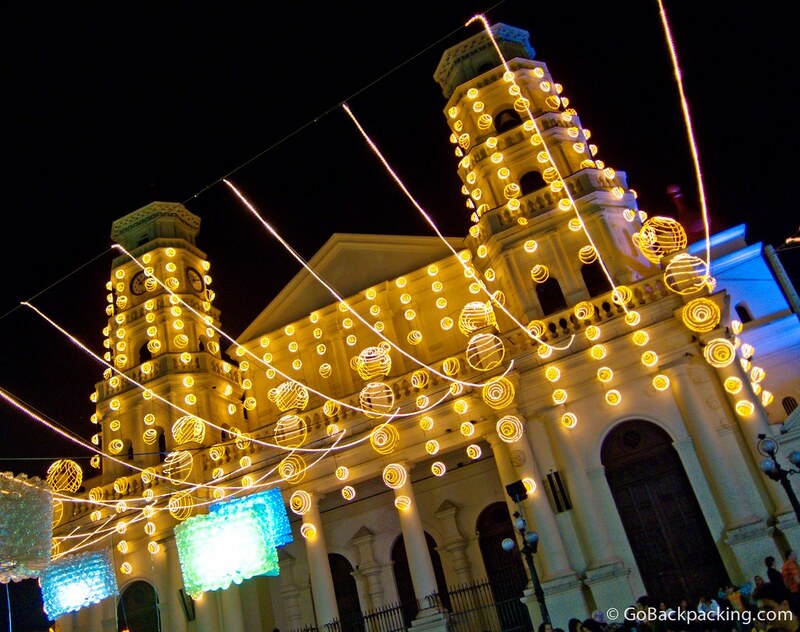 On Wednesday, December 8th, Colombians celebrated the Immaculate Conception, a Catholic holiday in honor of the Virgin Mary. On both the night before, and the 8th, families and friends gather outside their homes to light candles, talk, eat, drink, and enjoy their day off from work. Walking through the neighborhood of La Magnolia, the atmosphere was amazing – all the home decorated for Christmas, the candles leaving a warm glow along the sidewalks, people out having a good time, and happy to talk to myself, Mike and Leif who were out and about taking photos of it all. 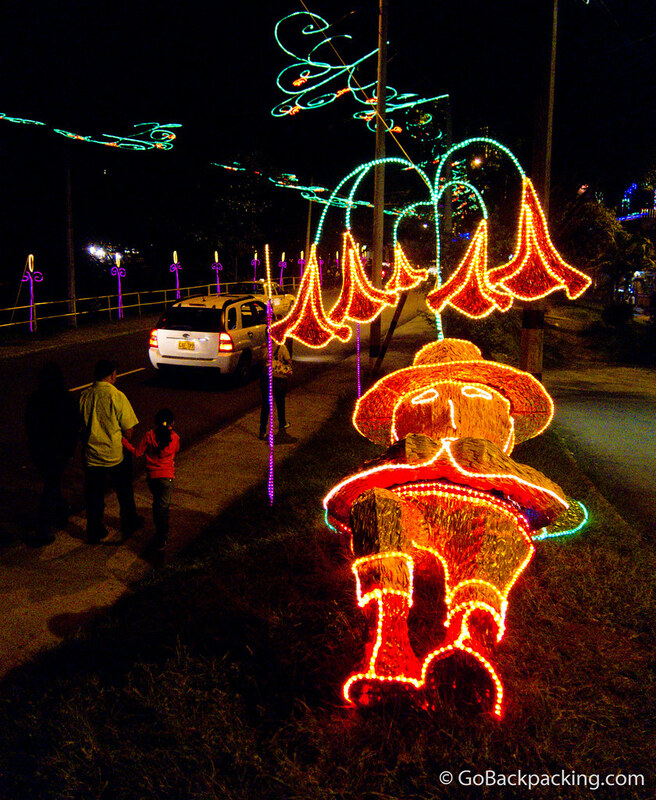 Christmas lights are strung above several main roads near central Envigado, for as far as the eye can see. The church in Parque Envigado, decorated for Christmas. The hanging lights are made of used plastic soda bottles. 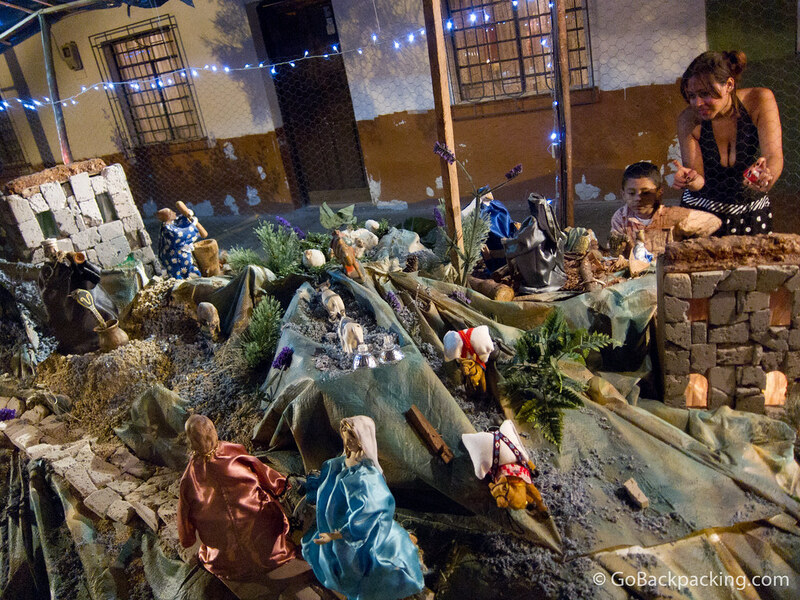 On December 8th, Colombians celebrated the Immaculate Conception by lighting candles and spending time with family and friends outside their homes. This family went a step further and took their furniture with them! 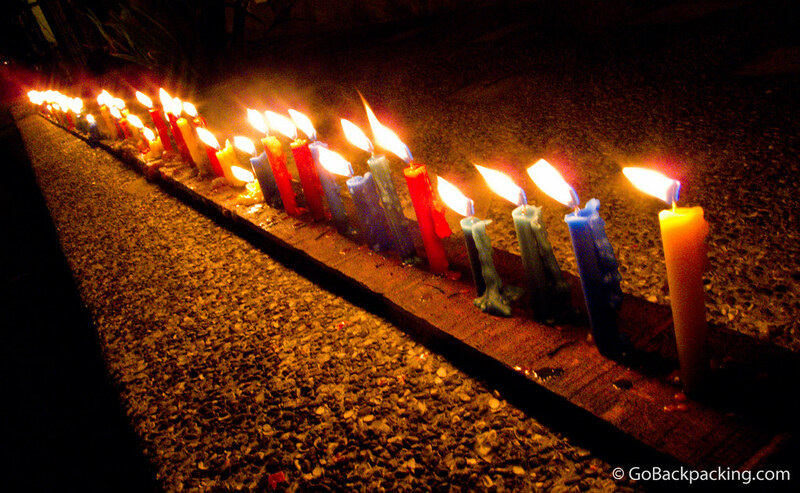 On December 8th, Colombians light rows of candles outside their homes to help guide the Virgin Mary to them. 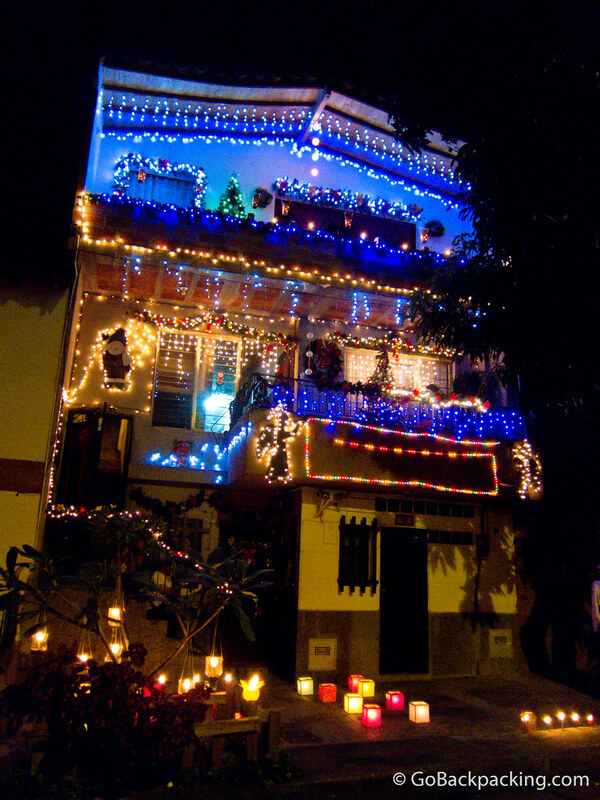 A typical house decorated for Christmas, with candles lit outside to celebrate the Virgin Mary. Scenes depicting the life of Christ – complete with animatronic figures (ie. they moved!). 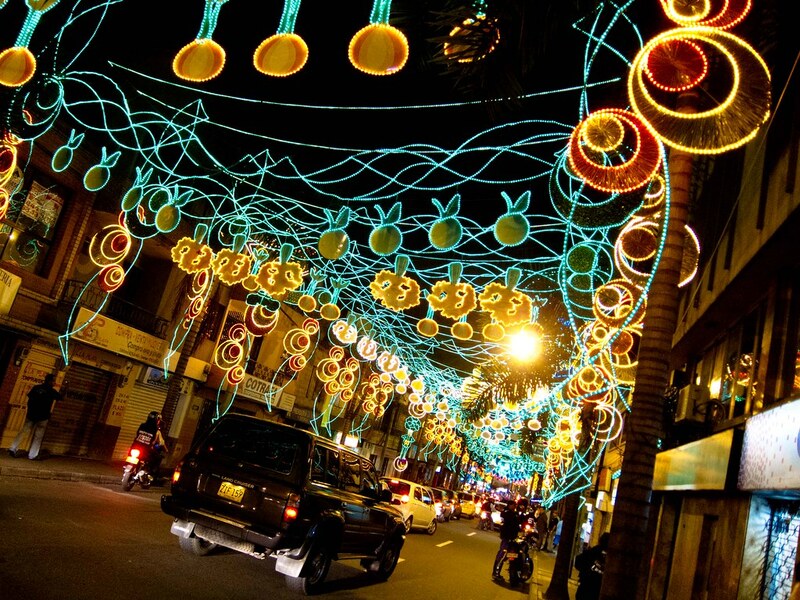 Each year, there are new designs and themes for the Christmas lights in Envigado. Pictured here, a man taking a nap under some wilting flowers. 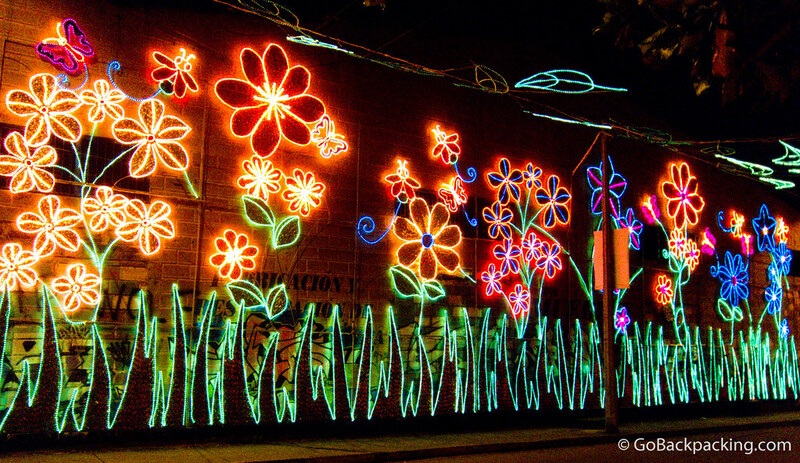 Holiday lights adorn a wall which faces a canal that runs through Envigado. Absolutely beautiful….you gotta love the tropics. The ‘wilting flowers’ in the second last pic are probably flowers from the borrachero tree. They are used by shamans to brew a psychedelic beverage that helps them to travel to the spirit world and heal their patients. Thanks Yamile. Are they called trumpet flowers? Looking back at that photo, I do remember them as having psychedelic properties. Very nice! I wish I’d stayed long enough to see some of these lights. I only got a small taste in Bogota. Thanks Wil, I’ll fix the three photos you mentioned. My employer matches 6%. I currently contribute 10%.